Read our full review of the new Canon Powershot SX60 HS with a massive 65x optical zoom lens, and built in Wi-Fi! 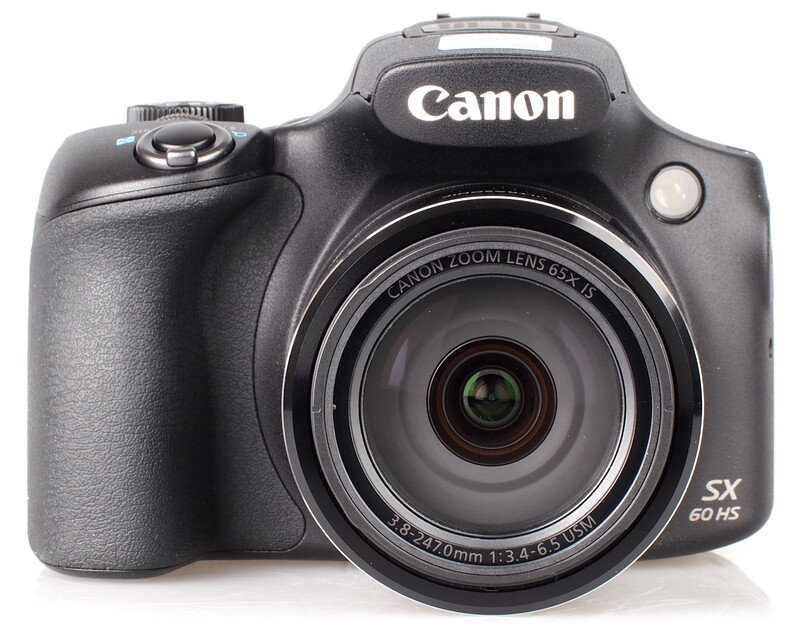 The Canon Powershot SX60 HS is Canon's top of the range ultra zoom bridge camera offering a whopping 65x optical zoom lens, it also features a 16.1 megapixel backlit CMOS image sensor and is capable of recording 1080/60p FullHD video. The SX60 is available now for around £420. The Canon Powershot SX60 HS features a 65x optical zoom lens equivalent to 21-1365mm (in 35mm equivalent terms) and intelligent optical image stabilisation helps keep images steady. There is a 16.1 megapixel backlit CMOS sensor, a Canon DIGIC 6 Image processor along with Canon's high-sensitivity HS System to enhance low-light image quality, as well as high speed continuous shooting at 6.4fps. The camera records 1080/60p Full HD video with automatic or manual exposure control, built-in stereo microphones and a microphone port for optional external stereo microphone. Built-in Wi-Fi technology, lets you share still images and videos taken with the camera quickly and easily using compatible mobile devices. The camera's Mobile Device Connect Button makes it easy for you to connect to a compatible smartphone or tablet, with NFC making initial setup and pairing easier with a compatible Android device. On the back you can choose between a 3 inch 922K dot Vari-Angle LCD screen for low-or high-angle shooting and a high-resolution 922K dot electronic viewfinder, great for shooting in bright outdoor conditions. Creative Shot mode is included as well as Canon's Smart AUTO mode that intelligently selects optimal camera settings from 58 different pre-defined scenes for still shots and 21 for video. Full-manual exposure and manual focus control is available, with the choice of JPEG, RAW, or JPEG+RAW capture modes. The PowerShot SX60 HS camera is fully compatible with Canon EX-series Speedlites thanks to the flash hot-shoe on top of the camera. The Zoom Framing Assist function remembers your zoom position, zooms out to locate the subject, and can zoom back in to the saved position when the button is released. An additional feature to Zoom Framing Assist lets you preset a desired composition such as whole body, upper body or face. Once this feature is enabled, the camera will zoom its lens automatically to maintain the desired composition even if the subject moves closer or further from the camera. 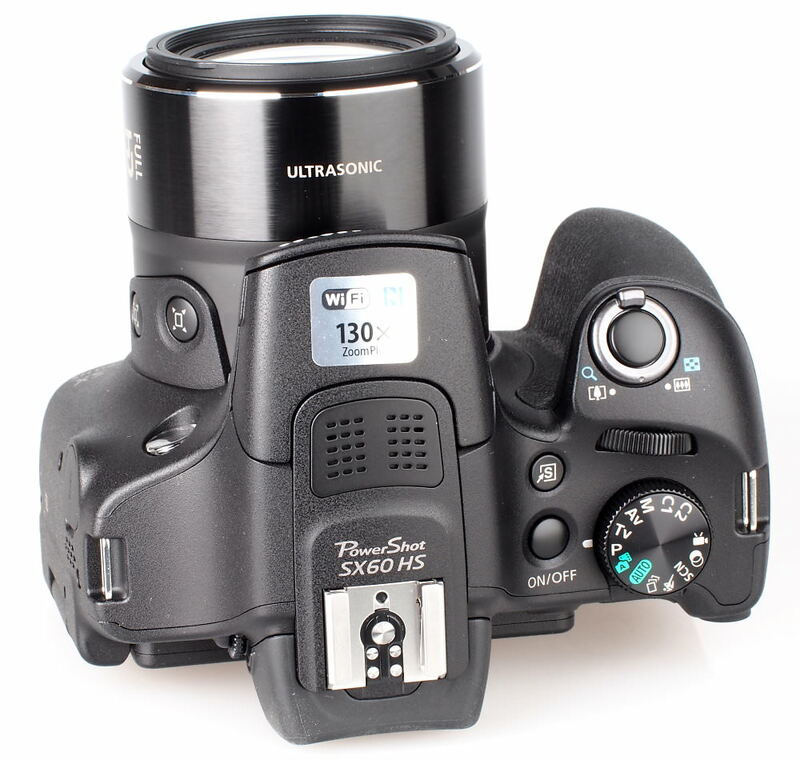 Another new function called Zoom Memory makes it possible to quickly return to the most recently used zoom position, even if the battery or memory card is replaced. The camera feels well built with a large rubber hand grip, as well as a rubber grip on the rear of the camera for your thumb. The pop up flash is manually activated by pulling it up, and closed by simply pushing it back down. The shortcut button on top, as well as the video and framing buttons can be customised, in addition the function menu layout can be adjusted, letting you add, remove and re-order the options. The hand grip feels good with a large rubberised area, and there is another rubber grip on the rear of the camera for your thumb. On the left of the camera lens you can find the zoom assist buttons. The 65x optical zoom lens makes the camera quite large and measures 6.5 inches when extended, which is bound to impress some when compared to other cameras that offer "just" a 60x optical zoom lens. However, it's worth noting the SX60 lens zooms from the equivalent of 21mm to 1365mm, which is not as long at the telephoto end as some other cameras such as the 60x optical zoom lens Nikon Coolpix P600 which zooms from 24-1440mm, and the 65x optical zoom lens Kodak Pixpro AZ651, which zooms from 24-1560mm. The electronic viewfinder (EVF) is small, but of a high resolution, and features dioptre correction, as well as a soft touch surround. Due to the small size of the EVF it isn't the most comfortable to use for any length of time, however it will be useful in steadying the camera, as well as providing a better view outdoors in bright sunlight. 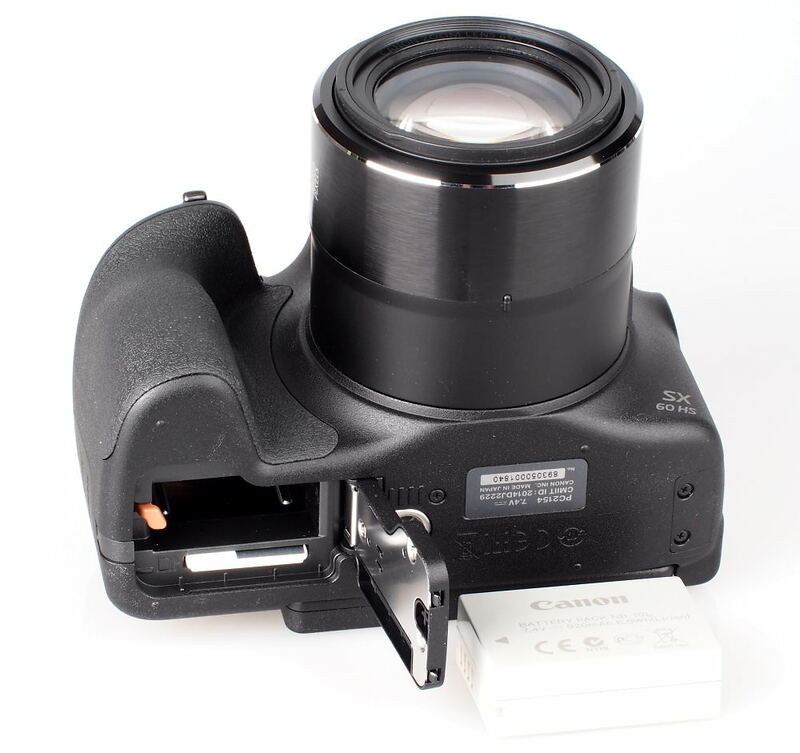 There is an electronic level built in that can be displayed when using the screen or the EVF. 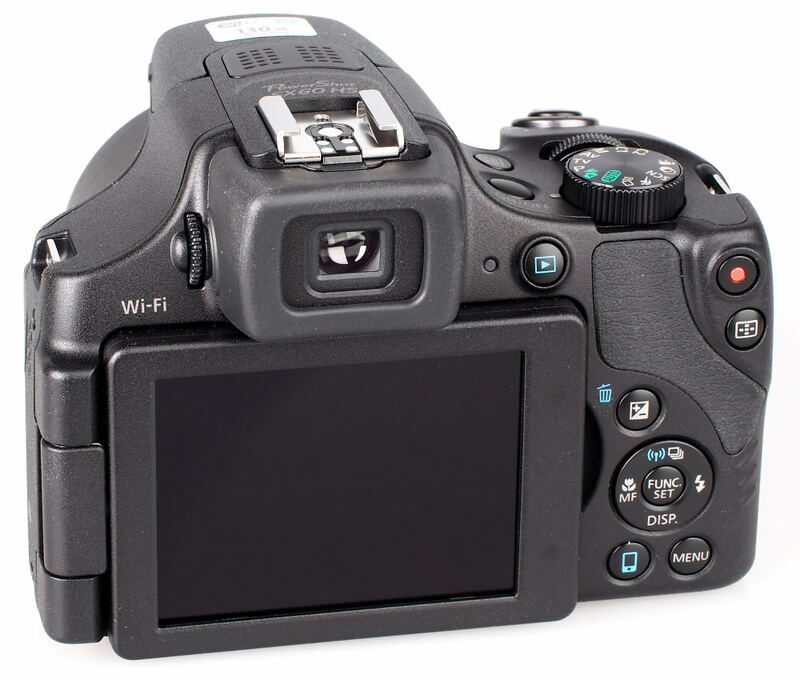 To switch between the display modes, as well as to switch between the rear screen and the EVF you simply press the Display button on the back of the camera. The screen has a good resolution, is clear and bright, and easy to read. The screen can be twisted away from you and closed to protect the screen from damage. The menus are clear and neatly laid out, with built in help giving explanations of the options available so that you can quickly pickup the camera and start using it without having to spend much time studying the manual. 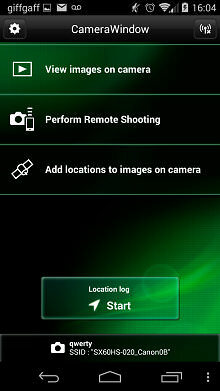 A dedicated Wi-Fi button on the camera activates Wi-Fi connectivity and using the Canon Camera Window app on an Android or iOS device makes it easy to view photos on the camera, setup remote shooting, or add GPS locations to images on the camera. 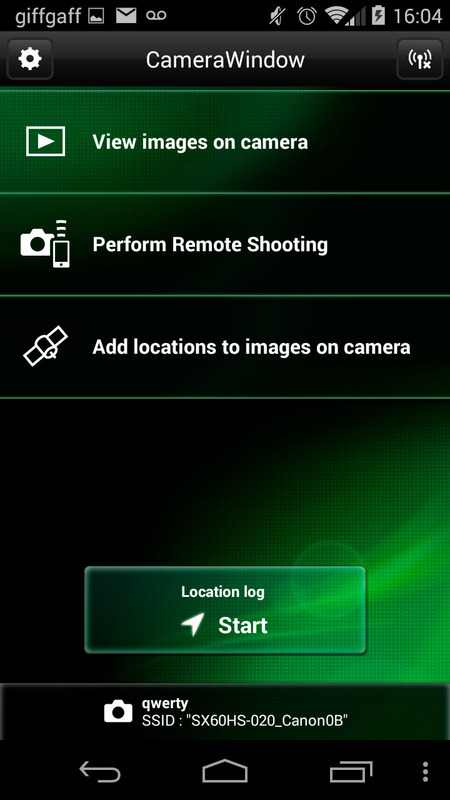 Zoom and focus can be controlled remotely, as can other options, like the flash mode for example. This can be especially useful for those who are partial to taking the odd 'selfie' or group photograph, as the image can be composed easily using your phone's display. Battery life - Battery life is rated at 340 shots according to Canon / CIPA test results, which is very good, and can be extended to 450 shots using the Eco mode. Extended use of Wi-Fi is likely to reduce battery life. The camera will shoot at 6.2fps when shooting JPEG Super Fine in continuous shooting mode and the camera was able to take over 500 shots before any kind of slowdown. In good light the camera is very quick to focus, even at the telephoto end of the lens, although this can become slower depending on light levels, as well as levels of contrast in your subject. Sample Photos - Colour is good with bright saturated colours, and photos taken with flash show no red-eye and decent skin tones. Exposure is reliable and the camera has a number of options to boost dynamic range in shadows and highlights when shooting JPEG images. Lens Performance - The camera has an impressive macro focusing distance of just 0cm - you can focus on the dust on the front of the lens if you so desired! 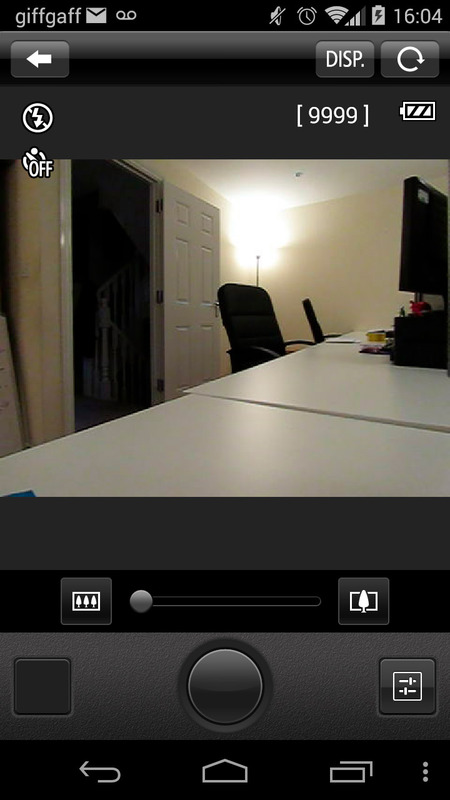 You can also use a decent amount of optical zoom and focus on objects 3cm away from the front of the lens. Some vignetting is visible at the wide-angle end of the lens, but barrel and pincushion distortion is well controlled, being automatically corrected in the JPEG images. Some purple fringing is visible towards the corners of the frame when shooting images with high levels of contrast such as trees against a bright sky. Detail is good although can become softer at the telephoto end, depending on shooting conditions as well as the distance of your subject. Lens flare is noticeable when shooting with a bright light source such as the sun in the frame, although in less harsh conditions it was very rarely a problem. ISO Noise Performance - For the lowest noise and best detail possible we would recommend using ISO100 to ISO200, as images have low levels of noise and good levels of detail. For lower light situations ISO400 to ISO800 still provides good results, although noise increases and detail is reduced. At ISO1600 noise levels become strong and we would recommend avoiding this setting if possible, although results may still be useful if resized and used on the web. ISO3200 is best avoided as noise is extremely high, and detail is low. White Balance Performance - Auto White Balance (AWB) performs gives a warm yellow colour cast under tungsten lighting, with the tungsten preset giving a more neutral result. AWB performs very well under fluorescent lights, with the fluorescent preset giving a magenta colour cast. 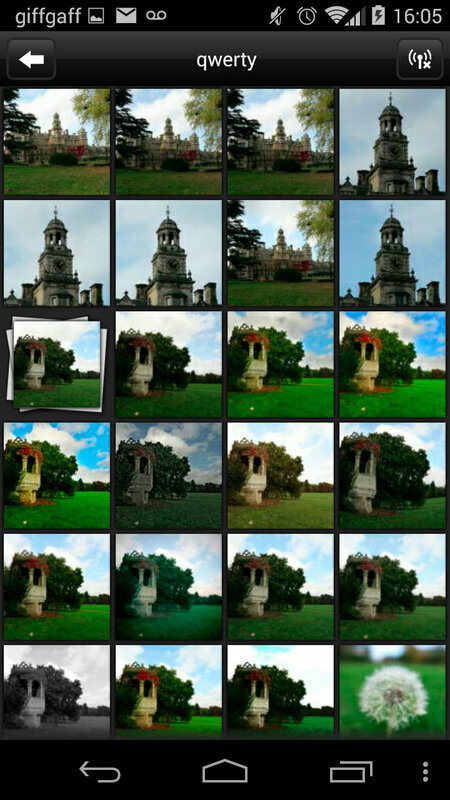 Digital Filters - There are a number of effects available, including HDR shooting options. Creative shot automatically creates five artistic photos seemingly randomly through cropping, rotating, or adjusting color, tone and more, as well as keeping the original image. The camera does not have a panoramic shooting mode. 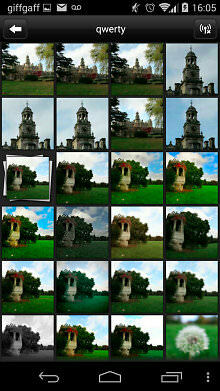 There are additional options to adjust "My Colours" however, these aren't available when shooting raw images. Video - Video is recorded in FullHD, 1080p at 60 or 30fps, with stereo sound, and there is a microphone socket on the left hand side of the camera in case you want to use an external microphone. High speed video recording is available at 640 x 480, 120 fps, and (M) 320 x 240, at 240 fps. Video quality is good, although to get the best from the camera when using the full optical zoom, a tripod would be recommended. The Canon Powershot SX60 HS lays claim to one of the largest optical zoom lenses in any ultra zoom bridge camera. With a 65x optical zoom lens, the camera offers an almost ridiculous level of optical zoom starting at an ultra-wide 21mm zooming to 1365mm equivalent. However, it's worth noting that other cameras do offer a longer telephoto reach, albeit with a less wide-angle lens. The screen has very good viewing angles, and the camera feels good in the hand with a generous rubber hand grip. Built in Wi-Fi makes sharing images quick and easy, as well as giving the option to remotely control the camera or add GPS information to images. Full manual controls, as well as RAW shooting means you should be able to get the best out of the camera if you want to try more creative shooting, or process your own raw files. A flash hot-shoe, microphone socket, and tilting screen give the camera additional expandability, meaning this should be a camera that does not limit you in any way. 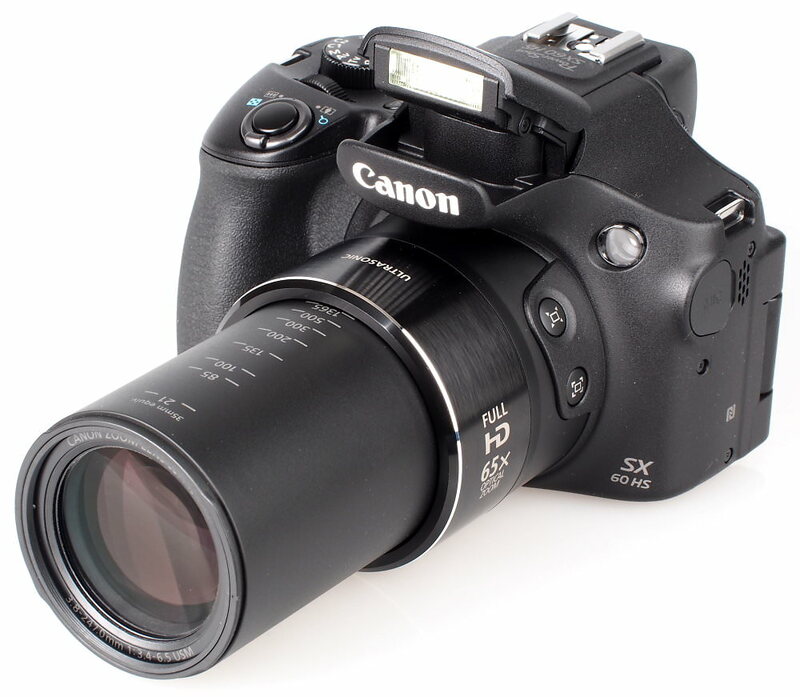 Perhaps the biggest drawback to this camera is the price, which is noticeably higher than the competition, however for those that want the bragging rights of having the biggest zoom lens, then the 65x optical zoom lens of the Canon Powershot SX60 certainly delivers an abundance of features. 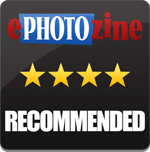 The Canon Powershot SX60 certainly has an impressive 65x optical zoom lens and delivers bright colourful images. If we disregard the dslr for image quality this one is passable but with this value of money what can I say?! Trying an entry dslr is a better choice for me & zoom for some people is more efficient.If not so the bridge cams weren't so much right now! Fish eye wide angle is silly, and wastes the zoom. Why don't canon put GPS in the camera? Why such a tiny evf - they are so useful I find myself using the one on my lumix DMC-TZ60 more than not. Not sure how much of an upgrade this is from the Canon sx50 HS. Zoom of 1356 up from 1200 will hardly be noticeable. 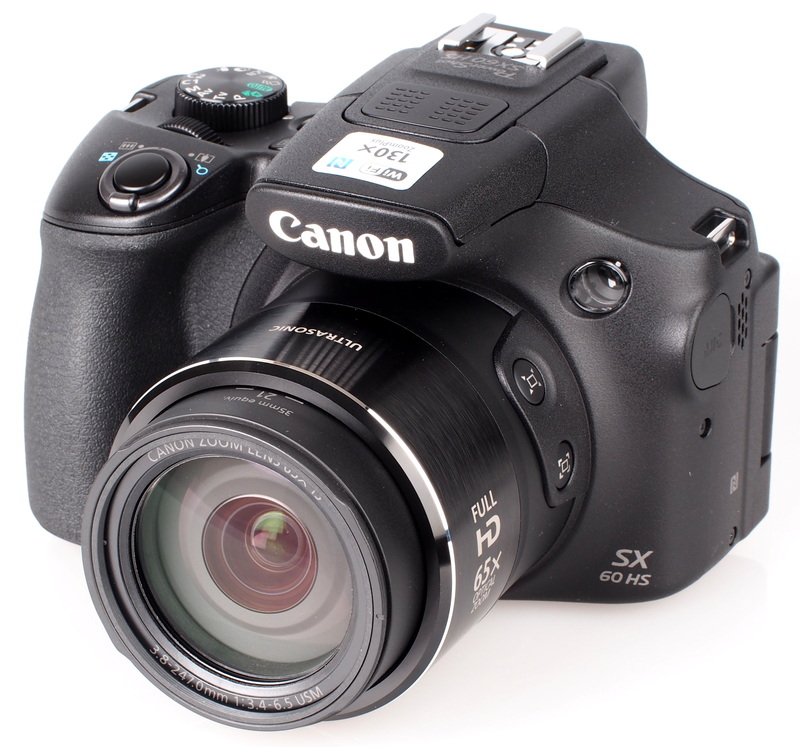 In your review of the sx50 ha you berated the manual switch between evf and back screen, but not on this. My canon 400d had auto switch, it is so much better it should be a law. Fish eye wide angle is silly, and wastes the zoom. Why don't canon put GPS in the camera? Why such a tiny evf - they are so useful I find myself using the one on my lumix DMC-TZ60 more than not. Not sure how much of an upgrade this is from the Canon sx50 HS. Zoom of 1356 up from 1200 will hardly be noticeable. 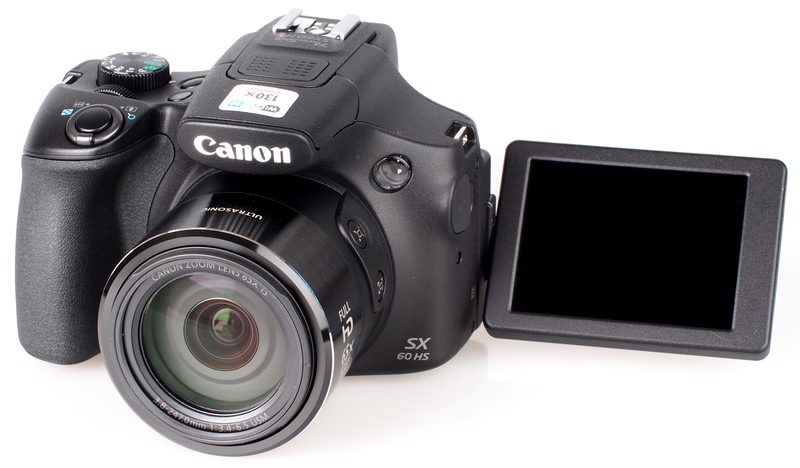 In your review of the sx50 ha you berated the manual switch between evf and back screen, but not on this. My canon 400d had auto switch, it is so much better it should be a law. You list a con of "My colour / dynamic range options not available when shooting raw", can you tell me cameras that don't have this limitation? It wouldn't be a RAW image if you could do that. Is there a typo in the speed section? "The camera will shoot at 6.2fps when shooting JPEG Super Fine in continuous shooting mode and the camera was able to take over 500 shots before any kind of slowdown." Interesting review,. I have the Canon SX50HS. The improved EVF and LCD screen sound good, but the autofocus doesn't seem to be any better. [quote]You list a con of "My colour / dynamic range options not available when shooting raw", can you tell me cameras that don't have this limitation? It wouldn't be a RAW image if you could do that. [/quote] Some other cameras will still let you alter colour options even when shooting JPEG+RAW, letting you have the colour settings to your own choosing, and then the raw image available if you want an unaltered image. EG Olympus PEN/OM-D cameras. Quote:You list a con of "My colour / dynamic range options not available when shooting raw", can you tell me cameras that don't have this limitation? It wouldn't be a RAW image if you could do that. Some other cameras will still let you alter colour options even when shooting JPEG+RAW, letting you have the colour settings to your own choosing, and then the raw image available if you want an unaltered image. EG Olympus PEN/OM-D cameras. Hi petebfrance, that is not a typo, those are the speeds and number of shots possible, shooting JPEG. Shooting raw (without JPEG) is very slow in continuous shooting, raw+JPEG is likely to be the same speed or slower. One thing that is never mentioned regarding these bridge cameras is the minimum aperture. From the above spec it seems to be f6.5. Surely that is risible and useless for landscape purposes. or am I missing something about these cameras?